Our baby turned five! 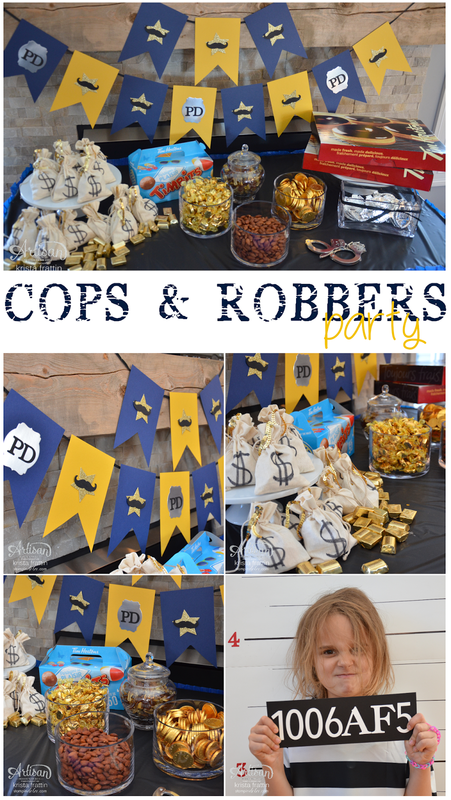 On the weekend we celebrate his birthday with a cops and robbers theme party. It all stared with his Halloween costume from Costco. When he saw the police man costume he could not leave it in the store (and for that price neither could I). He has always been in love with civil servants. Last year the Halloween costume of choice was a fireman. His second birthday party was a Fireman theme. The year before that he was a construction worker ... and the party that year was a construction truck theme. Here is a look at the fun that we had! I love to have a themed treat table at every party we have. I have to admit that color and theme out weight flavor preference with I am putting together a table. You can not have a Cop theme party without Donuts and Tim Bits from Tim Hortons! (Or Dunkin Donuts if you are an American follower). I had thought about putting them in a fancy dish but decided against it. I liked the boxes on the table to add to the theme. 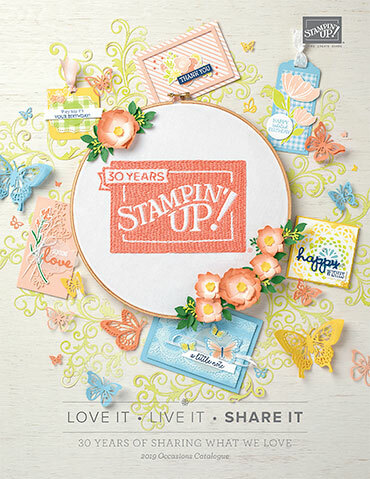 Our loot bags were created with Stampin' Up! Mini Muslin Bags. They measure 4" x 5-1/2" and are the perfect size to fill with Gold Chocolate Coins, Hershey's Nuggets and Werther's candies. I drew the $ symbol with a Sharpie (only because I did not have a Stampin' Up! stamp for that!). It was quick and easy to do. To finish them off I stapled Gold Sequin Trim to the top of the bag. The banner. I love this banner! 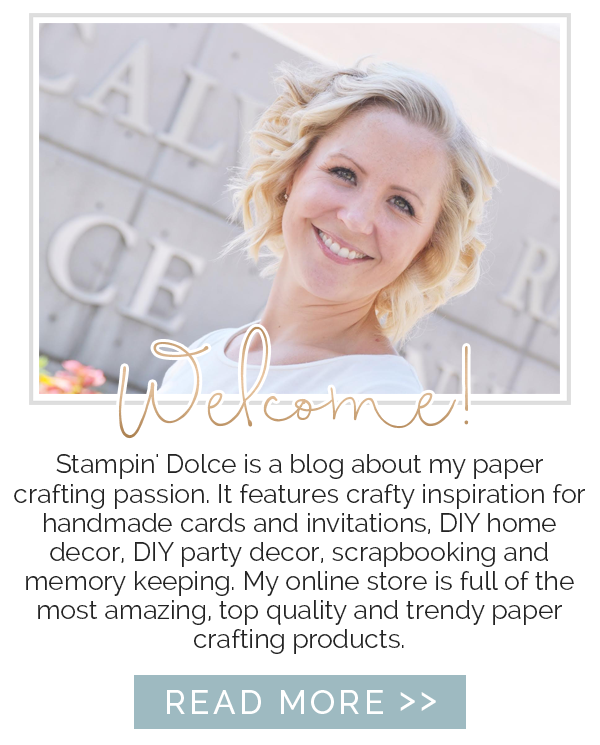 Each banner piece is a piece of cardstock cut to 5-1/2" x 8-1/2" (half a sheet of cardstock). - Bigz Alphabet Typeset Die and Basic Black cardstock. 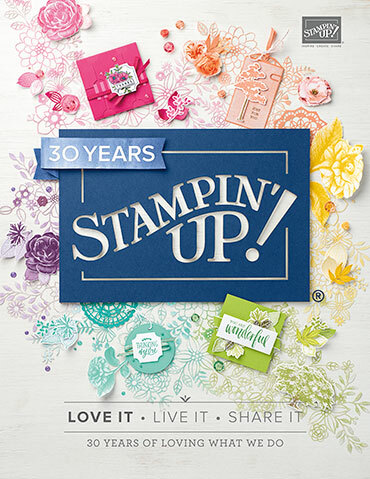 These letters are sadly no longer available from Stampin' Up!. 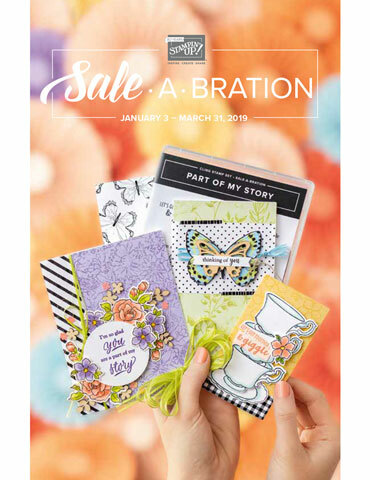 - The Mustache Die is another die in my collection that Stampin' Up! no longer sells. The biggest hit of the party had to be the mug shots! Many of the kids were too busy playing to get a picture taken but the adults sure had a blast taking photos! Here is our daughter "S". We messed up her hair and made her scowl to look like a criminal! That Rainbow Loom bracelet gives her away though. How cute is this little guy! Stop it! - 2 white sheets of poster board from the Dollar Store. - Duck-tape them together on the back side. - Measure the height of the lines to the floor and hang on the wall. - Cut a piece Basic Black cardstock to 11" x 4"
- What do the letters mean?? 10 = October, 06 = his birth date, AF = his initials, 5 = his age. October birthday party themes are made easy with all of the Halloween merchandise in the stores. I bought a convict costume at Walmart for $9! It made these pictures awesome! Our family decided to dress for the theme. "S" had a police girl costume. "J" and I were cat buglers. I found an inexpensive glove, mask and satchel kit at the Halloween store. I had had a stripped tank in the closet (always a bonus!) and "J" wore all black clothes. At the party store we found a cop shirt and aviators for Arturo. We bought mustaches and police badges for everyone to wear. We had bought 5 pairs of handcuffs from the dollar store. The kids had so much fun running around arresting each other and playing that they did not do the other activities I had planned. I had online printables of finger print sheets and police themed coloring pages. At the end of all the fun my girls came to me to tell me that they are very blessed and fortunate to have a birthday parties like this. They know that some children do not get parties at all, let alone a party like this. The birthday boy told us that the best part of the day was having all of his friends and family here. These things make me a proud mom. It is an amazing thing when your children are grateful and kind hearted. Our "J" is turning 9 in two weeks. You will have to come back and visit again for her party wrap up!